WASHINGTON – A group of Western lawmakers unveiled a package of bills Thursday to “modernize” the Endangered Species Act by allowing more local input and encouraging voluntary conservation efforts. Environmental advocates were quick criticize the legislation as “extinction bills” that would do more harm than good. Greenwald, endangered species director for the center, specifically cited Gosar’s bill as one that would “callously exempt dams and their associated reservoirs” from the act, despite the importance of those areas for species like salmon and yellow-billed cuckoos. The bills were introduced by members of the Western Caucus, which Gosar chairs. They included his STORAGE Act, to ensure that “confused and mistaken” designations of critical habitat in limited water infrastructure areas is not used as protected habitat for endangered species. 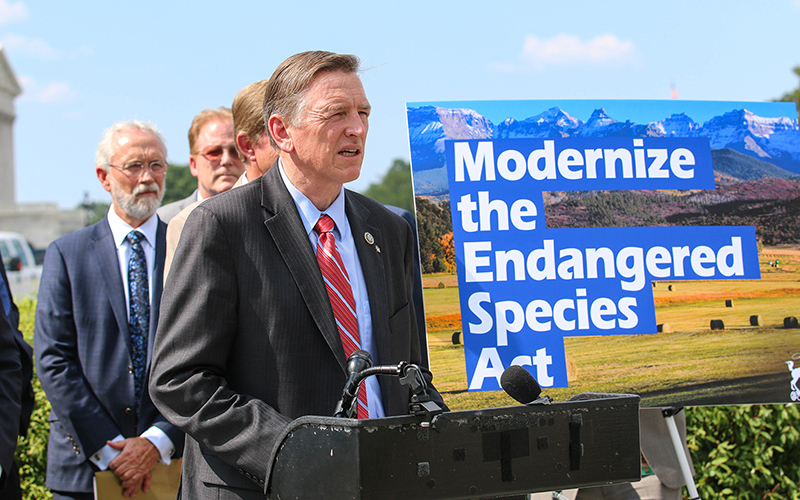 Another bill, by Rep. Andy Biggs, R-Gilbert, would let the Interior secretary take a species off the endangered list if he or she receives an “objective, measurable scientific study” showing that a species has recovered. Such studies could come from states, academic researchers and other outside groups. Caucus members said that getting politics out of the process is one of the goals of their package of bills, with multiple lawmakers saying that Washington does not understand the issues in their districts. They also criticized the Endangered Species Act itself, stating that less than 3 percent of species on the list have rebounded enough to be taken off. In Arizona, one species on the list is the Mexican gray wolf, which was hunted almost to extinction by ranchers before scientists were able to breed five remaining wolves on the border to 114 animals today. Gosar said constituents have told him that wolves are again bothering livestock. “Ranchers and farmers have lost livestock, have been non-compensated, and looking at the Mexican gray wolf, taking it into different areas that it was never part of the territorial aspect,” he said of the recovery efforts. Bahr said that it’s important to ensure that species are protected so that their numbers do not decline to the point that they need to be bred in captivity and reintroduced to the wild, as did the Mexican gray wolf. “The gray wolf is an example of why the Endangered Species Act should be stronger, not weaker, as they are proposing,” Bahr said. 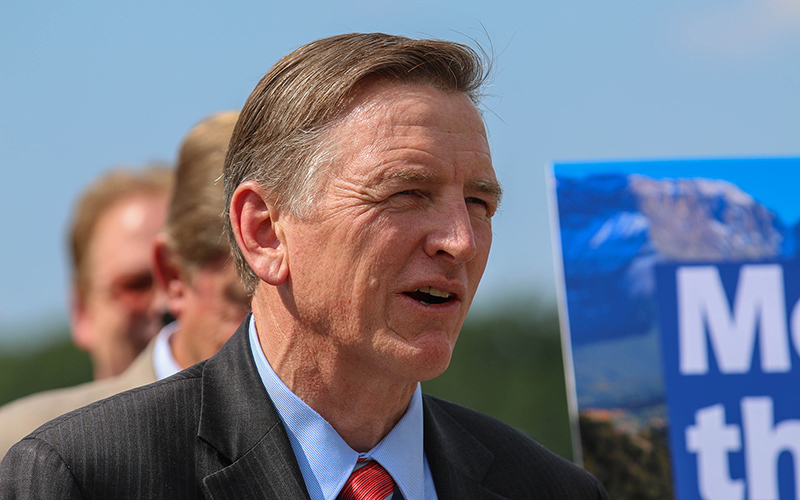 But Gosar insisted that, like most Americans, he supports protecting animals, as they are a vital part of the state’s ecosystems and tourism industry.